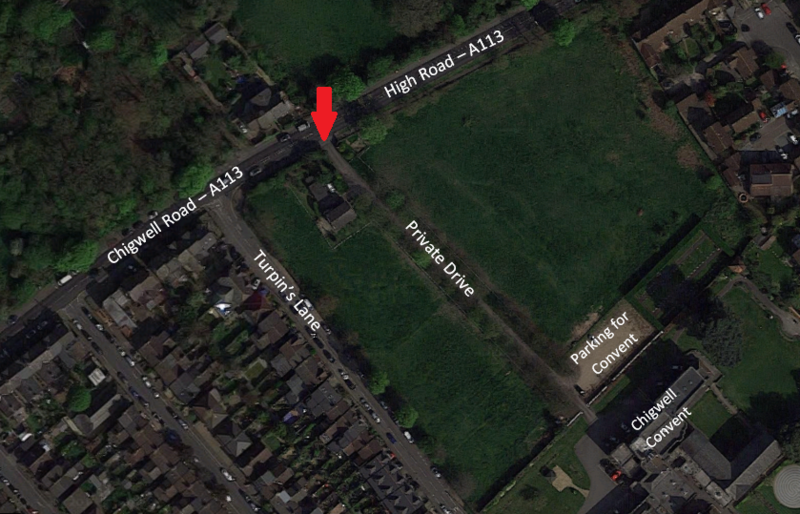 Directions: If you use the postcode in a SatNav, it will probably direct you down Turpin's Lane, but do not go down Turpin's Lane as there is no access to the Convent from this road. 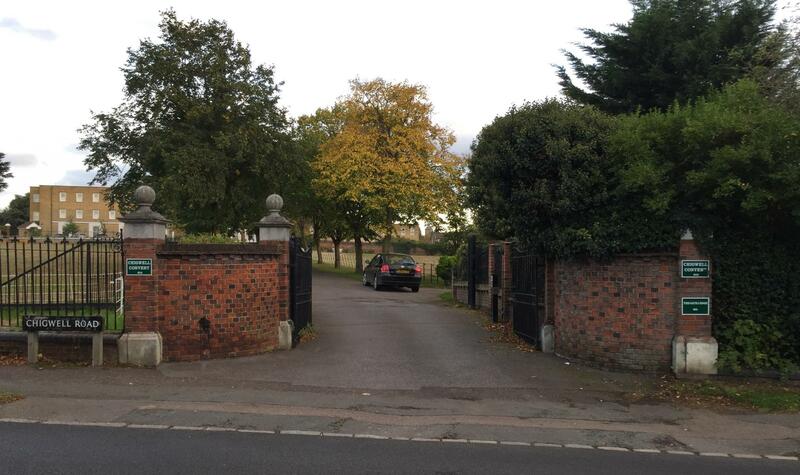 Instead, look for the gates to the private drive that leads to the car park for the Convent. The location of the gates is marked with a red arrow on the map, below. There is a picture of the gates below the map.